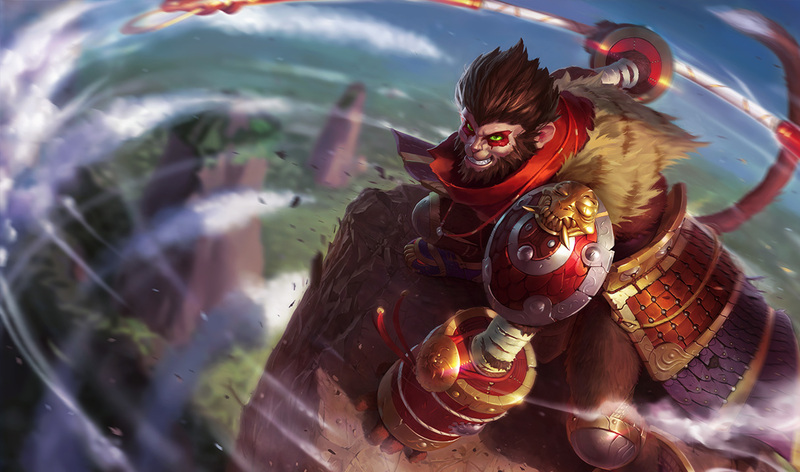 Wukong is played top or in the jungle. 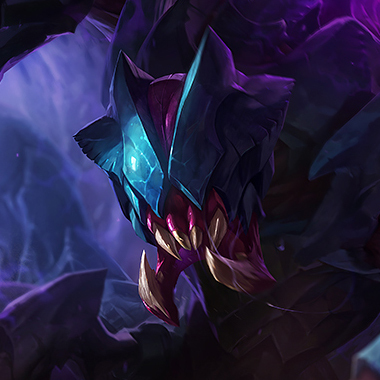 As you walk through the jungle towards your blue buff, you notice that there’s a key teamfight on the other side of the map. You start your teleport, noting who’s low on health and what you might have to protect yourself from.Suddenly, you hear a low “WOOHAA” and a monkey comes out of nowhere, spinning like a Beyblade. You fly into the sky, only to land straight in the path of his staff. In less than a second, you’re dead. 5 seconds later, your toplaner is dead. 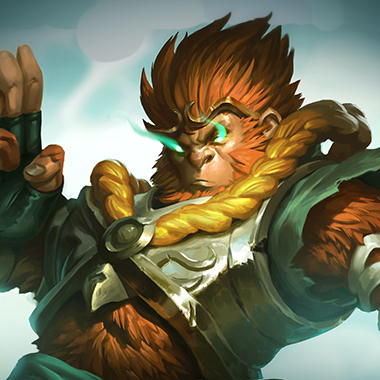 Wukong is a fighter with powerful utility and high base damage. 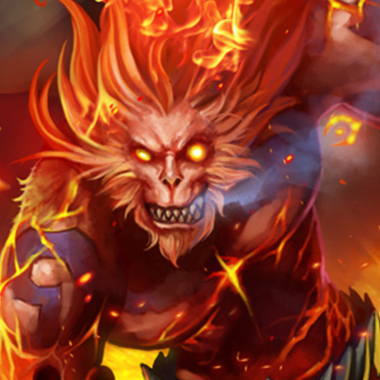 He’s good in wombo combo compositions and is good in early skirmishes. In order to stop Wukong from killing you out of nowhere, you need to know how to exploit his weaknesses. In this guide, I’ll be teaching you to deal with this monkey. Wukong gains armor and magic resistance for each enemy nearby. 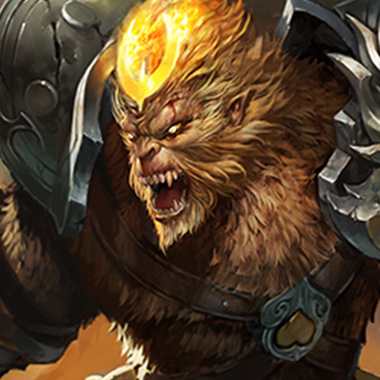 Wukong’s next auto attack gains range, deals extra damage, and shreds armor. Wukong enters stealth and leaves a clone of himself which deals damage after a few seconds. 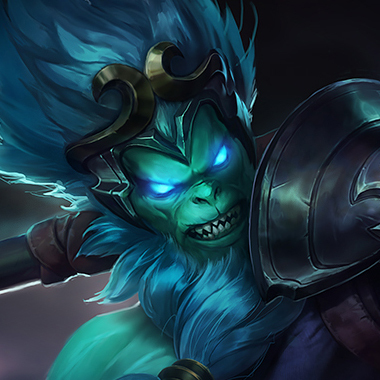 Wukong dashes to an enemy, dealing damage to it and 2 enemies nearby and gaining attack speed. 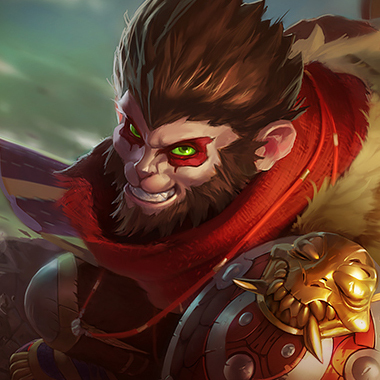 Wukong grows faster and starts to deal damage in a large area around him, knocking up all enemies. Wukong will cast Decoy after casting Nimbus Strike in lane. Save your abilities until he comes out of Decoy. Wukong’s Decoy deals damage. Don’t stand next to it. You can tell that it’s a Decoy because he suddenly awkwardly stops moving. 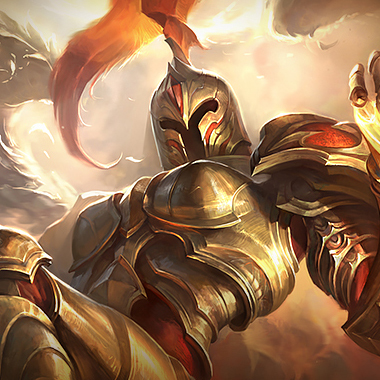 Wukong’s Q reduces your armor. Fight him after the debuff runs out. Having a pink ward will allow you to kill him if he tries to go invisible. You can stop him from dealing a lot of damage with your ult. Because he’s heavily burst based, you can win fights by ulting at the right time. 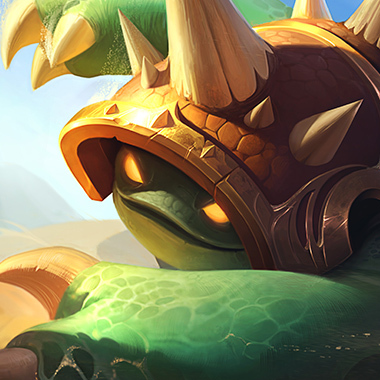 Harass him in lane often with your auto attacks. Your shrooms can affect him when he’s invisible. 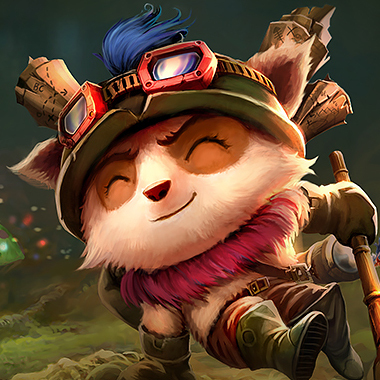 Use your blind on him when he dashes at you, as itmeans that he’ll most likely try to use his Q on you. Harass him. You can see where he is when invisible with your Tremor Sense and you can trade well with him. You can block all of his damage by building armor. Your taunt will stop him from getting away with his clone and while you don’t do as much damage, you can gank a lot more often. Build armor. That’s pretty much it.